A huge "Letterman shakeup" is taking place on the hit CBS talk show. According to reports writers working on the show are all getting moved around, as widespread changes are being prepared. It has been rumored that long-time writer and producer at the show, Matt Roberts, has been moved to be the new head writer for the show. Up until now the Late Show With David Letterman has had two head writers to control the content of the show, however, it has now been decided the show will proceed with just the one head writer. Justin and Eric Stangel will be transferred but will continue to work with the production company Worldwide Pants. It has been said they will primarily focus on the development of new television shows. The two heralded writers are thought to be exactly what producers want for the development of some exciting new content. However, it has been reported that the pair will not quit working with the Late Show With David Letterman completely, and they will still be making some contribution. 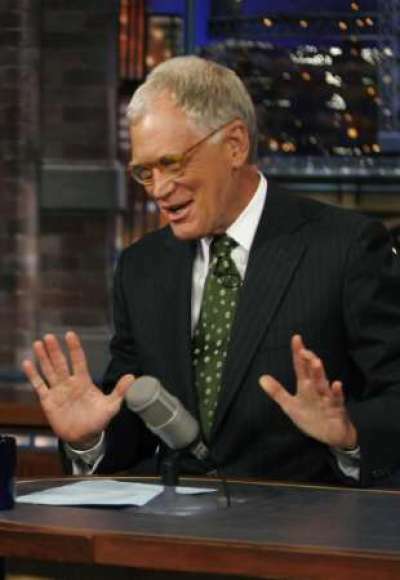 Letterman has been a fixture on late night television since the 1982 debut of Late Night with David Letterman on NBC. Letterman recently surpassed friend and mentor Johnny Carson for having the longest late-night hosting career in the United States of America. Letterman is also a television and film producer. His company Worldwide Pants produces his show as well as its network follow-up The Late Late Show with Craig Ferguson. Worldwide Pants has also produced several prime-time comedies, the most successful of which was Everybody Loves Raymond, currently in syndication. In 1996, David Letterman was ranked number 45 on TV Guide's 50 Greatest TV Stars of All Time.